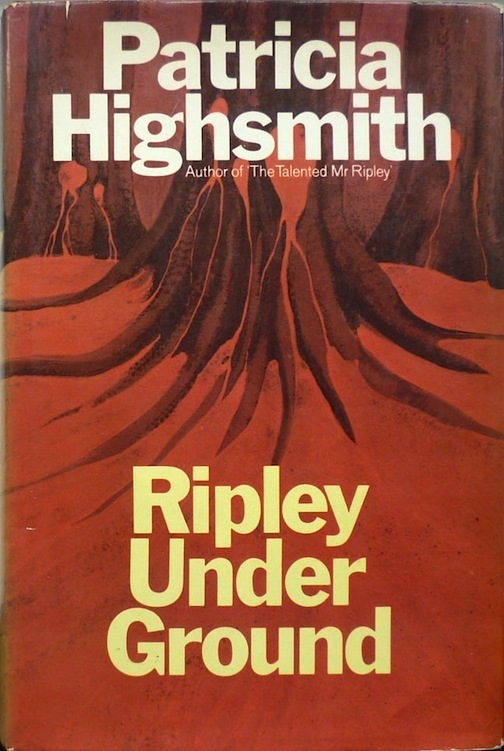 Four years ago I posted a review of Ripley Under Ground, Roger Spottiswoode's 2005 film adaptation of Patricia Highsmith's second Tom Ripley novel. Much as I love Highsmith's source text – indeed the Ripliad as a whole – I wasn't terribly keen on the film; the dreadfully miscast Barry Pepper's performance as Tom Ripley left a lot to be desired, and the way the filmmakers eviscerated Tom's character, excising his murderous background, for me fatally undermined the entire enterprise. I didn't blame anyone in particular for any of this, but I did make note of one of the people at least in part responsible: Donald E. Westlake. 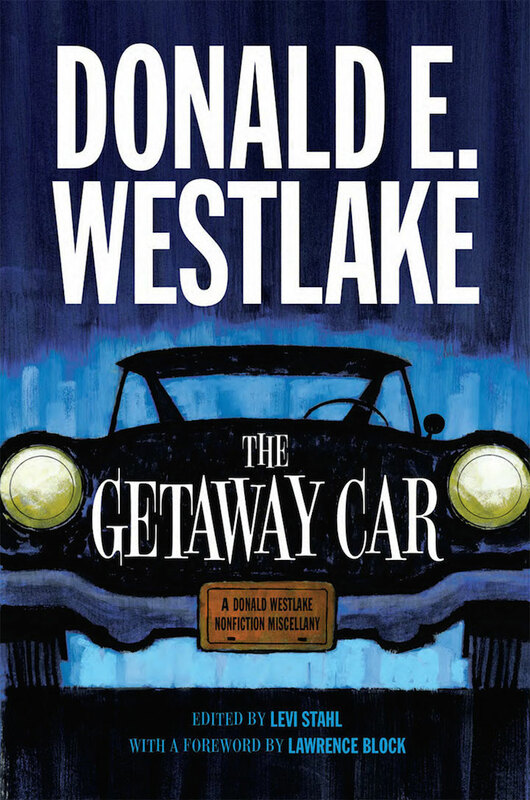 The Getaway Car, the forthcoming (in September) Westlake non-fiction miscellany put together by Levi Stahl of the University of Chicago Press. Levi kindly arranged for me to be sent an uncorrected page proof of the book, which I've been dipping in and out of since it arrived the other week; I expect I'll review it in full nearer the pub date, but I was drawn in particular to a piece to do with Westlake's experiences on Ripley Under Ground – partly because Patricia Highsmith has been on my mind of late (I reviewed two inscribed copies of her short story collections recently, and have further posts on her planned), but also because it sheds a little light on what may have gone wrong with the film and on what Westlake made of Highsmith – i.e., what one of my favourite authors, responsible for one of the two most brilliant series of novels to feature a conscienceless criminal ever written, made of another of my favourite authors, responsible for the other most brilliant series of novels to feature a conscienceless criminal ever written (IMHO). It's part of a longer piece titled "The Worst Happens", which comprises a selection of Westlake quotes from an interview by Patrick McGilligan (originally published in Sight and Sound in 1990 and then later expanded for Backstory 4: Interviews with Screenwriters of the 1970s and 1980s) in which Westlake expatiates on other writers' adaptations of his own work (The Hot Rock, The Outfit) and his own adaptations of other people's work (The Grifters). Westlake calls Ripley Under Ground – or rather "Mr. Ripley's Return" as the film was apparently known to Westlake – "one of the odder episodes", going on to recount how he "was delighted to take a crack at the book", and that his "first draft... attracted Michael Tolkin to direct... [who] had some lovely ideas, details of menace and suspense for the second draft, which I wrote, and then never heard from them again". Over a decade later the film was made with no further involvement from Westlake (or indeed Tolkin), who had "no idea what happened to the script over the last eleven years" but who agreed to a shared credit in order to receive, on top of belated payment for his work, "a potential production bonus". This despite the fact that, as Westlake memorably puts it, "[n]o one [from the production] has contacted me directly. I am merely that truck-stop waitress in Amarillo they fucked in 1992. That's okay. I think highly of them, too. Someone working on the set of the movie—I think it was shot in France, but don't know for sure—said it wasn't coming out well, which could merely be schadenfreude." I've always loved the deadpanness of Highsmith, and I thought it reached a peak in that book. The guy Ripley is tormenting, in his passive-aggressive way, suddenly turns around, smashes Ripley's head with a shovel, and buries him in Ripley's own garden. Ripley survives, comes up out of the grave later that night, takes a nice hot tub, patches his cut parts, and then what does he do? Call the cops? No. Shoot the guy? No. He haunts the guy for the next one hundred pages of the book, appearing and disappearing in windows, stuff like that. I've long wondered whether Westlake read Highsmith – I mean beyond Ripley Under Ground, which for obvious reasons I figured he must have read at least – so it's nice to find that he did and that he loved her "deadpanness". I've yet to discover whether Highsmith read Westlake, but something I did learn was that almost certainly the two never met. 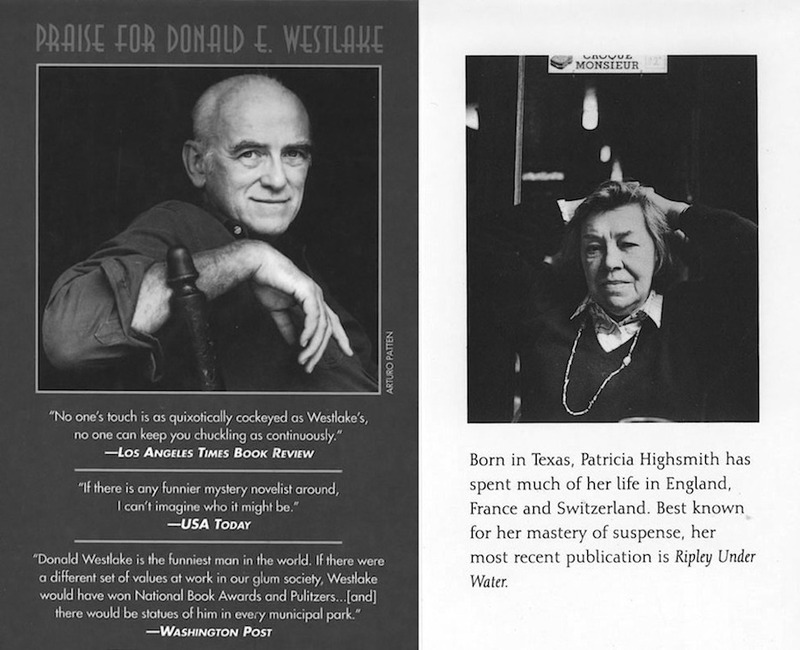 Westlake told McGilligan: "I was delighted to take a crack at the book, and I didn't mind Highsmith's weirdness and repulsiveness, because I wasn't going to meet her or deal with her; that was the ground rule." For me Highsmith's "weirdness and repulsiveness" are a big part of why her work appeals (let's not dwell on what that says about me), case in point being the next Highsmith book I'll be looking at: A Suspension of Mercy. I just finished A Dog's Ransom, and was struck by how many specific elements in that book are found in many Westlake novels, as you must have noticed--and yet the result is not at all similar. Similar interests; radically different outlooks. Westlake had about the same opinion of people in the main as she did--but he liked us anyway. She didn't. Indeed. She had a lot of respect for fellow professional writers though, so I suspect any meeting would have been cordial. This was one of the pieces I was most pleased to come across, for the same reasons as you, Nick: I had long wondered what Westlake thought of Highsmith. And it was fun to see him focus on the same thing that still melts my brain about Ripley Under Ground: Ripley digs his way out of his own grave. Nonchalantly. However, if this meeting had occurred towards the end of her life, and the conversation had veered away from writing, towards the subject of race relations, or the Middle East--things could have gotten a mite tense. But that wouldn't just apply to a conversation between those two, of course. I don't think I knew there's been a film of this one, but I don't know how anxious I am to see it. I'm sure I will at some point, but her books have never been filmed to my satisfaction. And if you want to talk about a miscast Ripley, how about Dennis Hopper in THE AMERICAN FRIEND? If you read her bios, she was terrible at social relations, including gauging people's feelings. She tried to write a teleplay and it came out awful. All her acquaintances said she didn't know how to write dialogue. I've read most of her books & just finished The Glass Cell. When she assigns fluctuating motivations & introduces events or actions that set someone off, her characters engage in a kind of mechanistic communication, and she's usually good at making it realistic enough for the events that are transpiring. She pulled it off in The Glass Cell. Thanks for the comments all. Levi: Quite a lot of things about Ripley Under Ground melt my brain! That's one of them, but it's crazy book all round, which is why I love it. Chris: Sounds like your Aunt Bridie would get on famously with the bloke who lives over the road from me. Although some of the things he comes out with have me gritting my teeth. Kelly: Still haven't seen The American Friend, although I really want to. 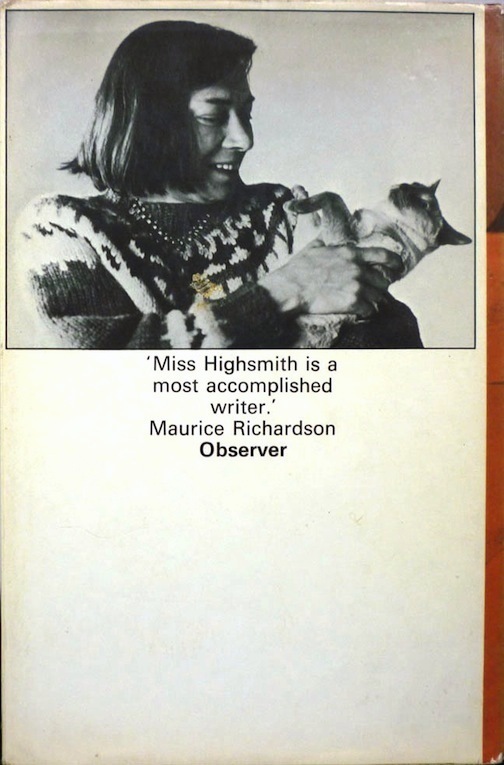 I don't think Highsmith was terribly keen on Dennis Hopper either, although she came round to the film as a whole. Anonymous: Can I ask what you mean by mechanistic communication, and how her characters engage in that? I can see fluctuating motivations in her characters, who often second-guess themselves and present confused and even conflicting motivations, but you lost me in the second part of that sentence (probably because I'm a bit dim). One of the things about Ripley Under Ground that stands out for me is the humor in it. The first few chapters, in which Tom impersonates the dead painter Derwatt, are pretty hilarious in my opinion. I always remember how Tom is always 'shooting his cuffs.' And he's quite comically cynical about how much money he makes from the Derwatt enterprises. The second half of the book is pretty improbable, in my opinion, even for Ripley. But I still like it. On 'The American Friend,' apparently Highsmith was angry because Wenders bought the rights for only 'Ripley's Game' but used a lot of material from 'Ripley Under Ground,' namely the Nicholas Ray/Derwatt stuff at the beginning. It's not what you expect for a Highsmith movie but I think it's pretty mesmerizing. And I think Dennis Hopper actually pulls it off somehow; he's kind of channeling a younger Ripley, maybe from 'Talented,' who's more innocent and sensitive to slights.